Warm up 250 g honey and 120 g butter in a pot slowly and carefully while stirring, until it becomes liquid but not too hot. Measure 500 g white flour and 100 g icing sugar in a big bowl. Add 2 egg yolks, a pinch of salt, 1-1 tablespoon baking soda, cocoa powder, ground cinnamon, ground cardamom, ground ginger, a pinch of ground cloves and nutmeg. You can also add zest of one lemon or orange if you have it around. Mix it well with the honey-butter liquid (I use my stand mixer). Cover the dough with a tea towel and let it stay in a cool place (not necessarily in a fridge) for a couple of hours or overnight. Roll the dough out to 5-7 mm thickness and use your favourite cookie cutters. 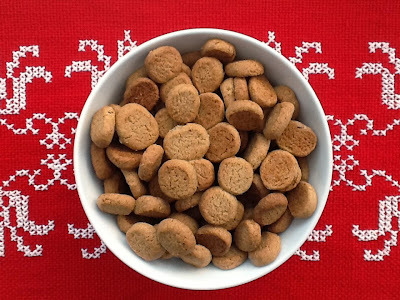 Place the cookies about 10-15 mm apart on a baking tray - they are going to grow! Bake them in a preheated oven on 180 ºC for about 8-10 minutes. Wait a couple of minutes before removing them from the pan - they are very soft. Beat 2 egg whites until it is thick and stiff. Go on with beating and add gradually 400 g icing sugar. Fill up an icing syringe and decorate the cookies. Add some drops of food colour to the white glaze. This is my Christmas postcard this year. 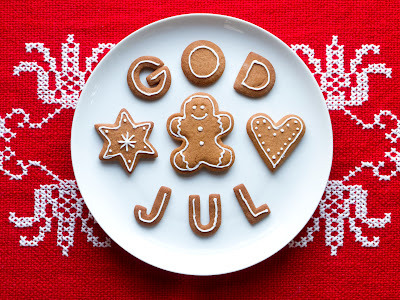 "God jul" means "Merry Christmas" in Danish. Posted in Dessert, Snack. 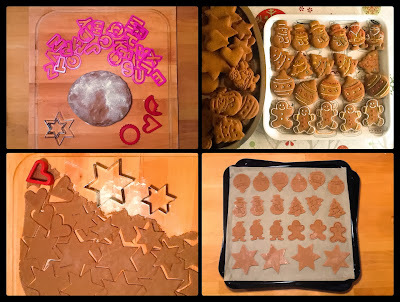 Tags: Christmas, cookies, ginger, gingerbread, honey on 24/12/2013 by Maagedeli. This is one example of how I use candied orange peel - not just around Christmas! 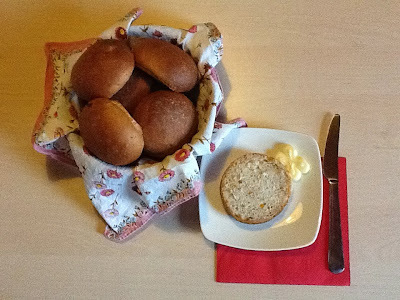 I usually prepare these buns for breakfast, that is why I make the dough in the evening before. 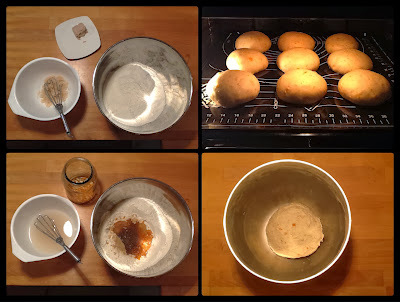 Mix about 10 g yeast with a handful sugar very well in a bowl, until it becomes a brown liquid. Add about 2 dl water and mix it again. Measure about 400 g white flour in a big bowl (I use my stand mixer's metal bowl). A part of it (no more than 50%) can be whole flour, but it will result a dense dough. Add a pinch of salt, a tablespoon grained cardamom, a generous handful of diced candied orange peel and about 0,5 dl oil (sunflower or rapeseed oil is fine). Add the yeast-sugar-water mixture to it. Make a nice, soft dough. Add more water if it is necessary. Cover the dough with a wet tea towel and keep it in a warm place an overnight. 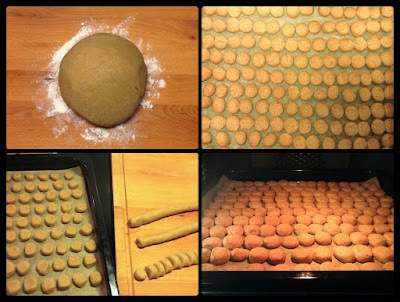 Bake them for about 20 minutes at 190 ºC. Posted in Bread. Tags: bun, candied, Christmas, Orange on 22/12/2013 by Maagedeli.